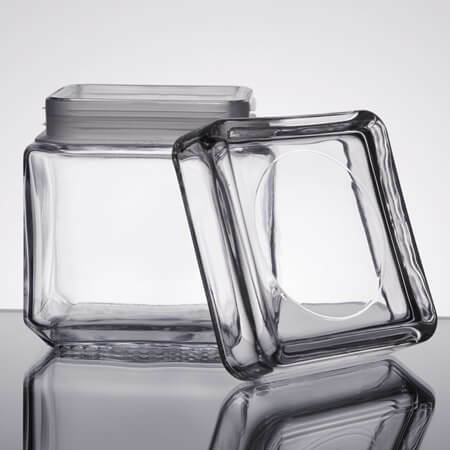 A 1 Quart Stackable Square Canister with Glass Lid is an outstanding way to be sure that some of the smaller candies don't get lost in your shop. 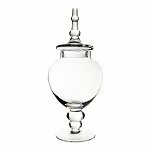 Fill up this bulk candy jar with colorful items, wrapped taffies, hard candies, and all those others can be lined up next to each other on the shelves and counters. 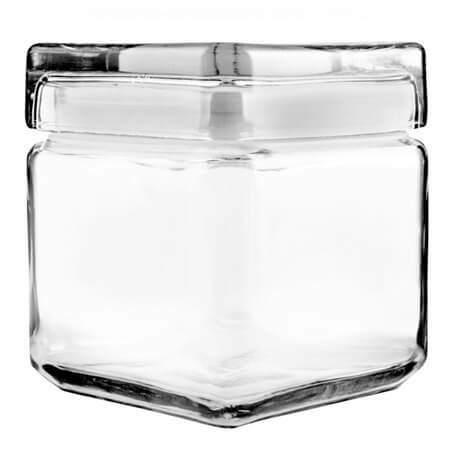 Each week use this glass container near your register to showcase a different candy for impulse sales and to bring focus on new items. 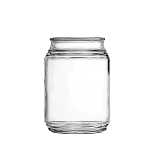 Incorporate into your professional kitchen for easy to reach and use ingredient jars. 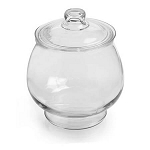 Flour, sugar, spices, and all the things you need close by as you bake the perfect sweet treats for your bakery, cafeteria, restaurant, and candy shop. 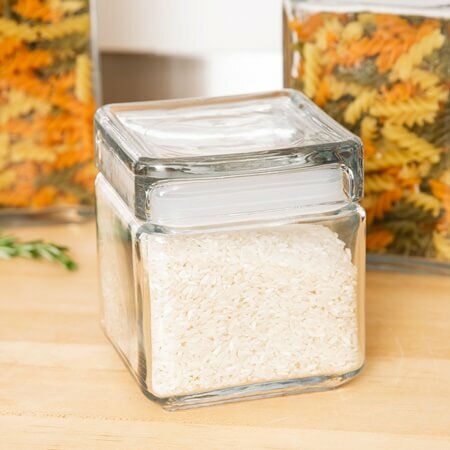 Each square glass jar has a lid the keeps contents fresh so it's also ideal for dry foods such as rice and croutons. Order yours today!